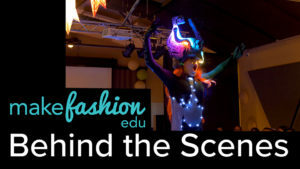 We’re excited to be share our behind-the-scenes video about our newest initiative, MakeFashion Edu! Watch now to see how we are bringing fashion and tech into education, with massive support and interest from educators and students. Hacking the runway: high tech meets high fashion. 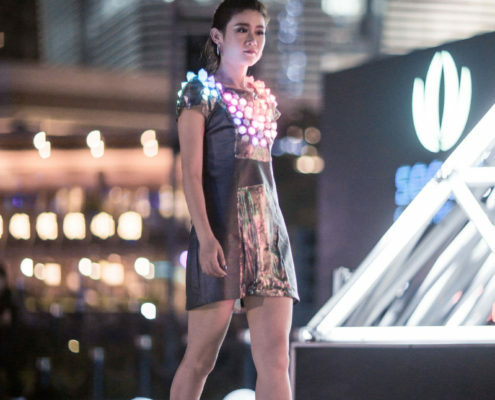 MakeFashion explores the potential of merging fashion with cutting-edge electronics. MakeFashion is an initiative that introduces designers, engineers, and makers to cutting edge new technologies: fusing high-tech and high-fashion on the runway. 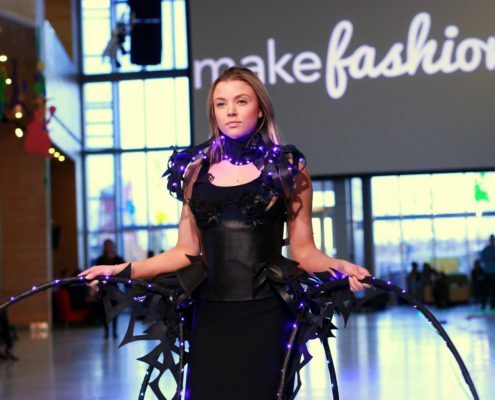 Launched in June 2012 by a trio of Calgarians, MakeFashion has produced over 100 wearable tech garments and showcased at over 60 international events. 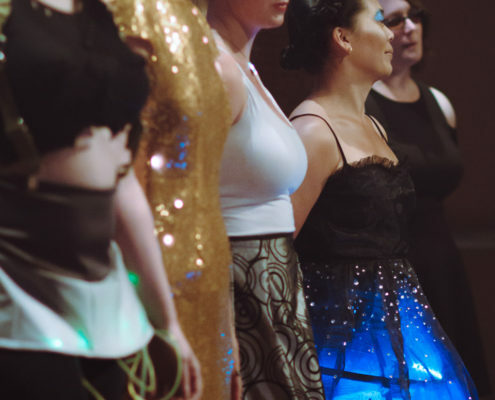 We introduce high-end fashion designers and artists to the exciting world of wearables through a series of informative, hands-on, designer-lead workshops. Our annual gala in Calgary, Canada debuts new collections of innovative fashion technology combined with theatre and performance. 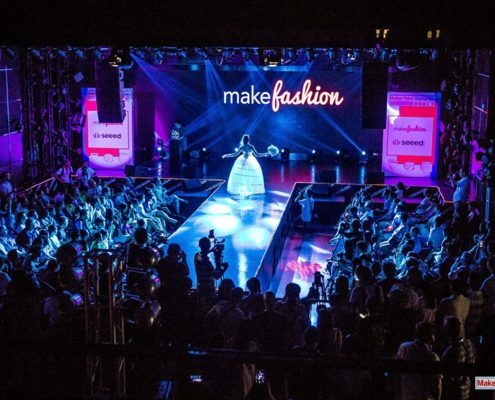 MakeFashion has showcased around the world including New York, Rome, and Shenzhen. High fashion inspired by the cosmos. 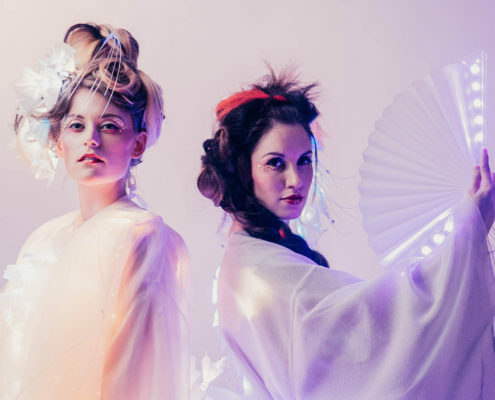 Technology and tradition collide with ethereal fashiontech kimonos. 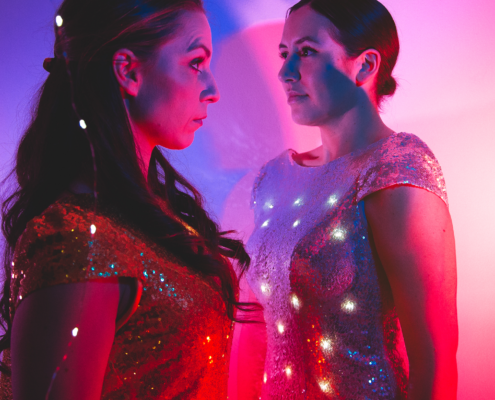 A self-contained projection mapped dress with sound and motion. An exploration of illumination and interaction. Playable video games within a pair of dresses. 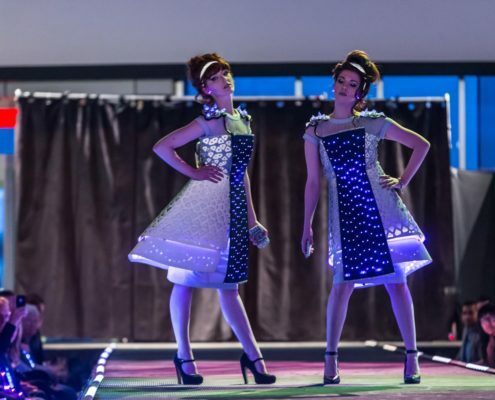 MakeFashion designers and makers include Erina Kashihara, Dr. Patricia Flanagan, Laura Dempsey, Angela Dale, Maria Urdu Pinto, Jeff DeBoer, Elle Nguyen, Rainbow Winters, Vlad Lavrovsky, Matt LaPrairie, and Shannon Chappell. 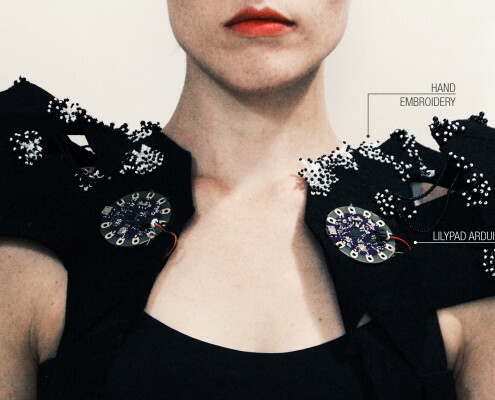 See the full list of MakeFashion wearables designers. 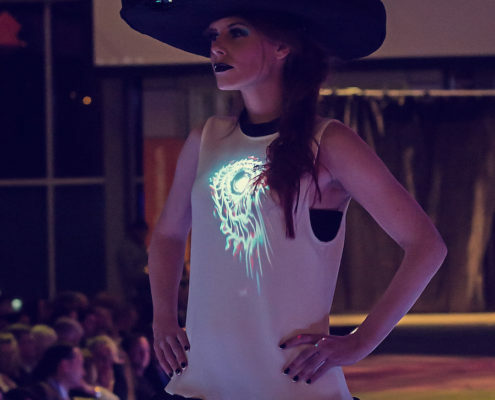 Contact us at info@makefashion.ca to learn how you can be part of our wearable technology movement.